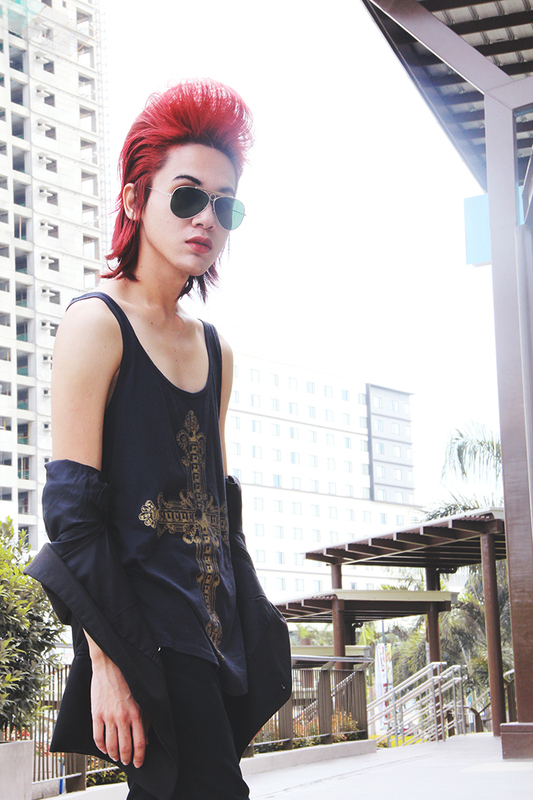 Years from now I wanna be a Mafia Boss, a king of the underworld. The power and wealth, guns and goons, going out in the streets of the city all suit up with a briefcase and a cigarette, shooting people around then being chased down by policemen. Well that's one exciting life if you ask me! 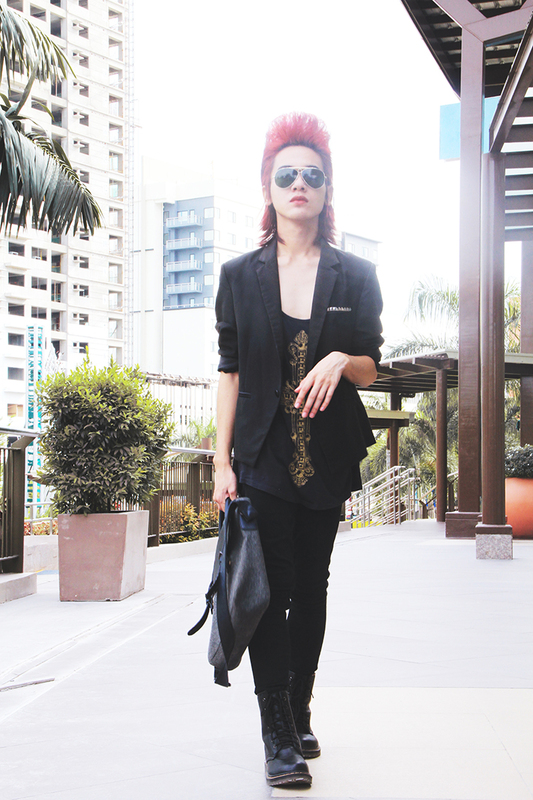 Imagination aside, here is my latest outfit post - a Mafia Boss inspired outfit. 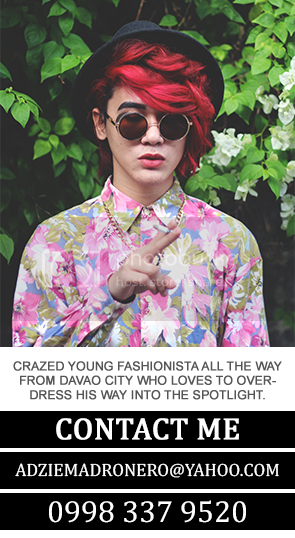 Pocket-studded coat from no other than the Youngest Blood of all, The Aidx Paredes. 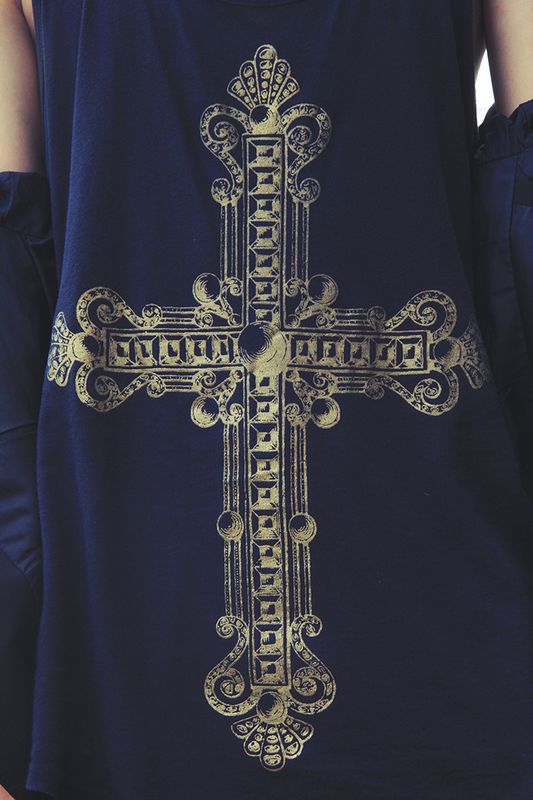 For my inners, I bought this razor-back top from Forever 21 printed with a gold-printed gothic cross. 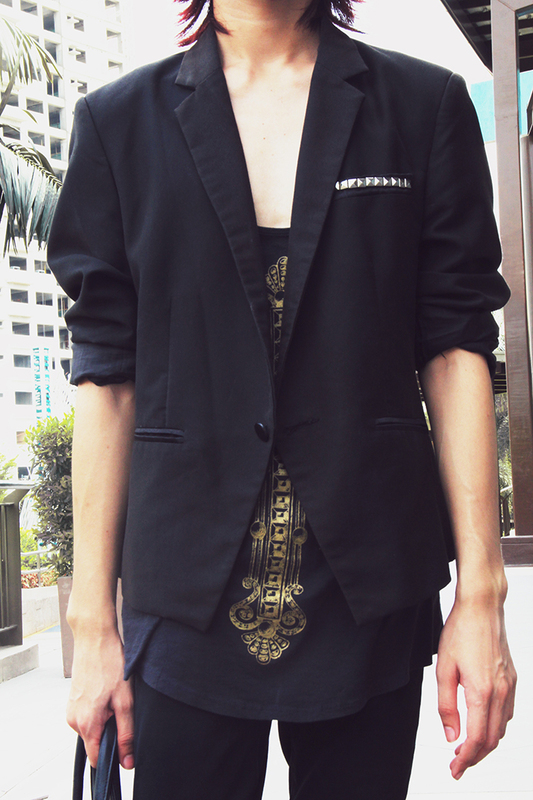 Then I paired it all up with this fantastic black skinny pants also from Forever 21. 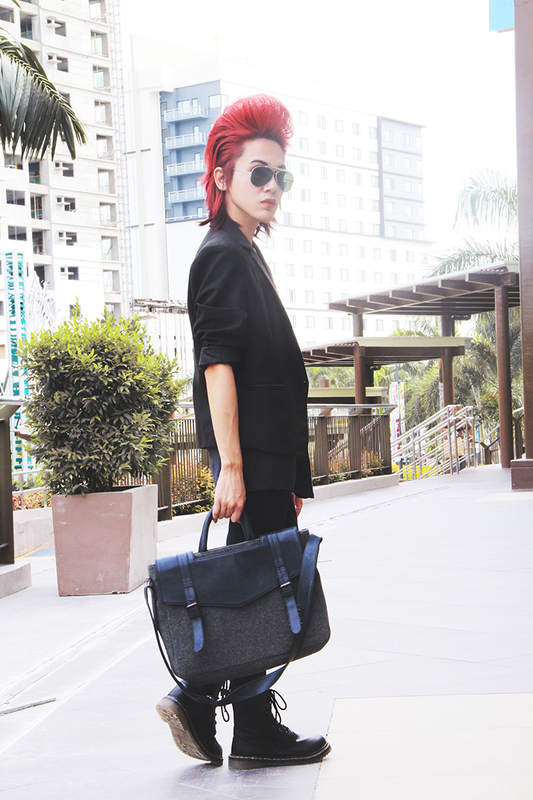 It's my new favorite pair of pants since the fit is just perfect and its very comfortable to wear since its cotton-made. 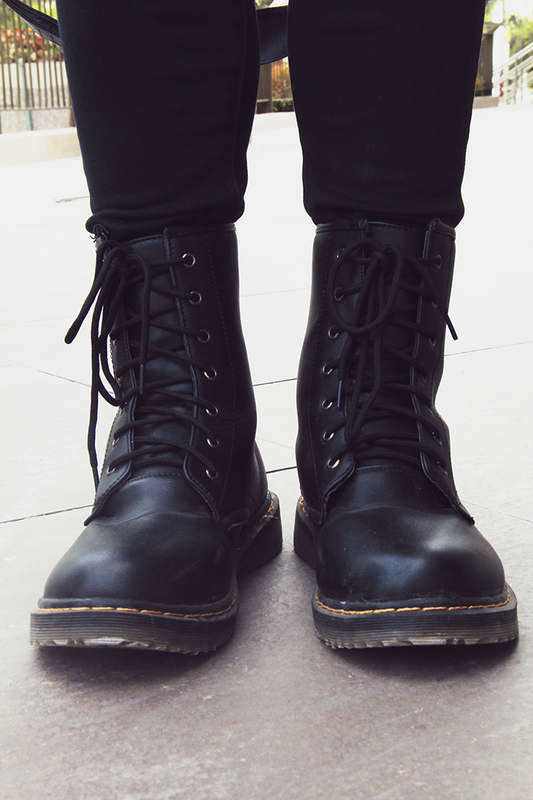 For my shoes, I have these really cool boots I bought from SM that I have been dying to wear.